Want to clean and optimize your PC? You've probably heard of CCleaner, arguably the world's most popular tool for doing the job. Developer Piriform just released CCleaner 3.0. The big news in this update? A native 64-bit version for use with like editions of Windows. 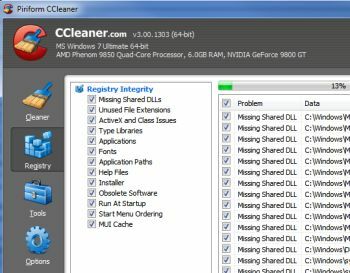 Like the last release, CCleaner clears out temporary files, cleans the Windows Registry, erases browser histories, and so on. Version 3.0 also sports new icons, various interface improvements, better support for Google Chrome and Internet Explorer 9, and newly added support for programs like AVG AntiVirus 10.0, Audacity, LogMeIn Hamachi, BitTorrent, and Windows Game Explorer. I particularly like the way it intelligently scans for cookies you'd want to keep, like those for Google and Yahoo. In short, the ultimate system-cleaning tool just got better. It's still free, thankfully, though you can purchase a priority-support license for $25. Reader LK wants to know if Microsoft Security Essentials (which I've championed in these pages many times) can be installed alongside other anti-virus and/or anti-malware programs. Longer answer: Definitely, definitely, definitely no. You might think that where security software is concerned, more is better. But you'd be wrong--especially if you're talking about programs that do the same thing, like fight viruses or spyware. For example, if you were to install MSE on a system that already had Norton Internet Security, the latter might think the former was a kind of spyware--or vice-versa. What's more, one security might not slow down your system that much, but two almost certainly will. My advice: if you're planning to switch security tools, do exactly that. Uninstall one, reboot, and then install the other. In my line of work, I'm constantly opening and saving files in myriad folders scattered across my hard drive. It seems like every time I face an Open or Save As dialog box, it means I have to spend considerable time navigating between folders. 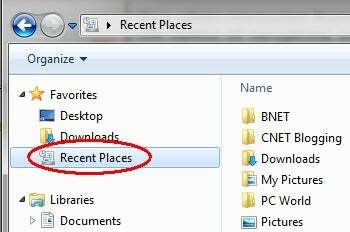 Recent Places is not quite the same thing as the Recent Documents option you may have seen in the Windows Start menu. When you click the former, it shows you a list of the folders you've accessed recently. Click into the one you want, choose the file you need, and presto, you're done. No need to waste time navigating various drives and subfolders. If you don't see the Recent Places option (or any kind of lefthand pane in your Explorer window), you'll need to make it visible. You can do so by selecting Organize, Layout, Navigation pane.